Pick-ups are very popular with tradesman and builders thanks to their versatility and (usually) four-wheel drive, making them ideal for on site work. The fact most come as double cabs means they can be used as everyday transport when they're not working too, so it's easy to see the appeal compared to a traditional panel van. Here we list the top 10 most economical pick-ups, using the manufacturers' official claimed mpg figures. 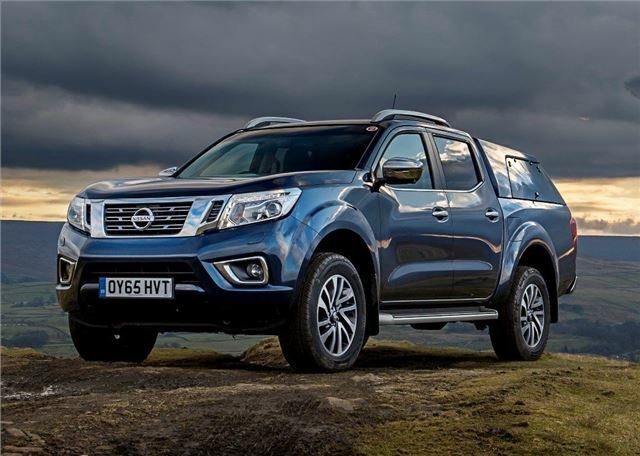 The pick-up efficiency champ is the Nissan Navara 2.3 dCi 160. Its diesel engine gives you the best chance of exceeding 40mpg in real life of any pick-up on the market. The latest Navara is one of the better looking ones too and extremely refined. There are two bodystyle choices with double or king cab available, with the latter giving the best fuel economy with a claimed 46.3mpg.